Where the West Was Lost & Won Time & Time Again. 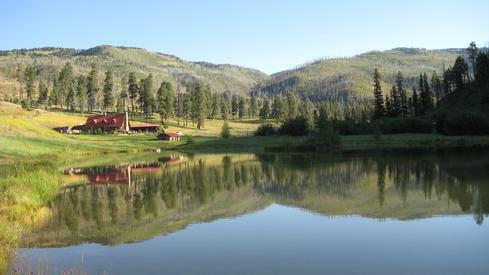 Cow Creek Ranch, a historic fly fishing guest ranch in the mountains of Pecos, New Mexico, just outside of Santa Fe, offers exclusive ranch and facilities rental for special events and occasions, family reunions, and corporate retreats. Elegant private getaway. Kitchen, fireplace, Jacuzzi, stunning views. Meetings and retreats. 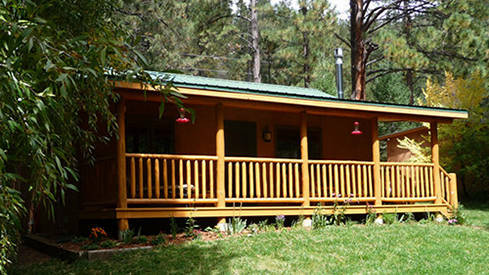 Luxuriate in our elegant and comfortable casita on 20 acres surrounded by thousands of acres of Ponderosa and Pinon forest. 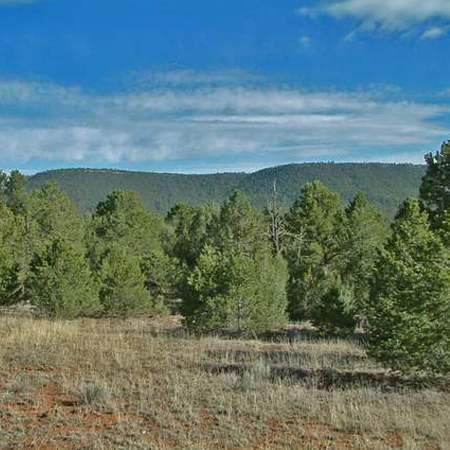 Located directly on the Pecos River facing the river and magnificent craggy mountain faces. Guests can hear the river & the wind in the ponderosas, especially at night, when all else is still and the stars fill the sky. Historic guest ranch in the heart of the Sangre de Cristo range of the Southern Rockies, bordering the Santa Fe National Forest. 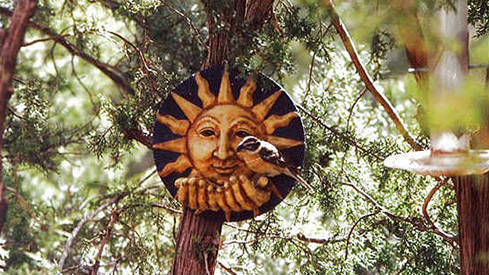 A profusion of wildflowers & many species of birds & animals abound in the sub-alpine setting. 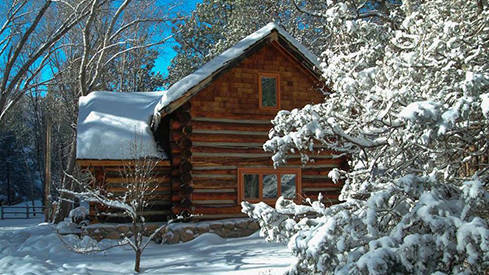 Come and stay in historic log cabins and getaway retreats located on the road to the Pecos Wilderness at 7,000 feet in the Santa Fe National Forest. 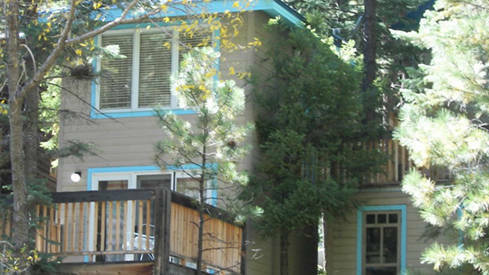 These fully furnished accommodations all have river frontage. 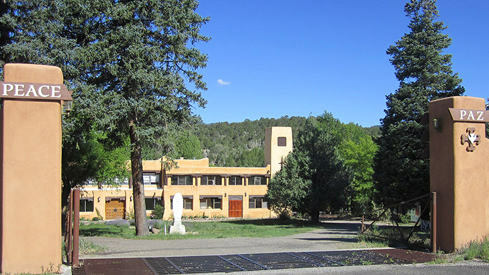 Pecos Benedictine Monastery is a monastery with retreat facilities and hermitages. Our emphasis is on sharing our monastic life of Benedictine PEACE and PRAYER with all who come. Secluded luxury on the Pecos river. 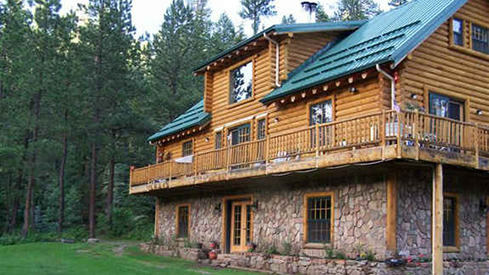 Fully furnished log cabin with all the amenities including a well appointed kitchen and bath. A beautiful, award-winning, 100 year old fully restored cabin along the Pecos River. 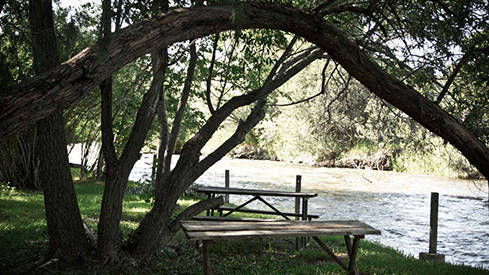 Pecos River Cabins is a special place on the Pecos River. For generations it has been a favorite of fly fishermen questing after rainbow and brown trout. 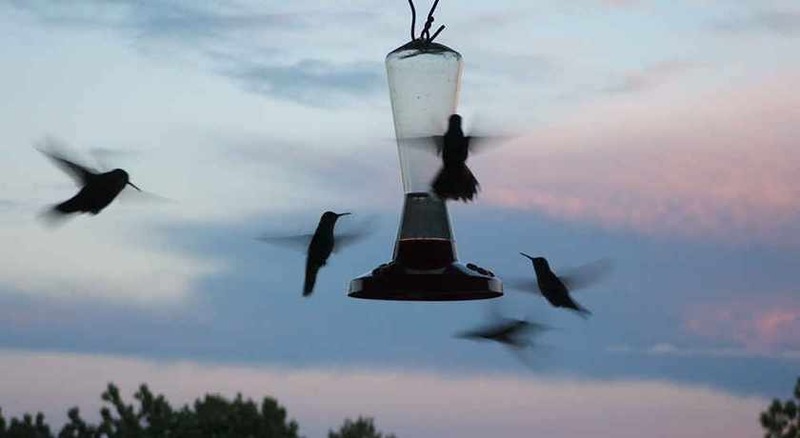 It is also a favorite for bird watchers due to the great diversity of bird species. 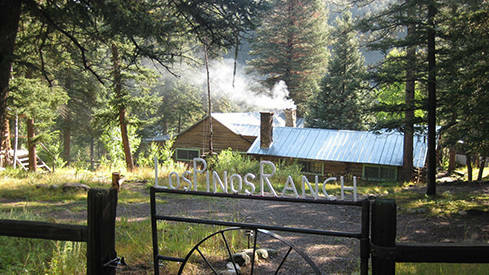 The only modern B&B located at the Cowles trailheads of the Pecos Wilderness high in the northern New Mexico mountains. Just beyond our boundaries is the incredible Pecos Wilderness. 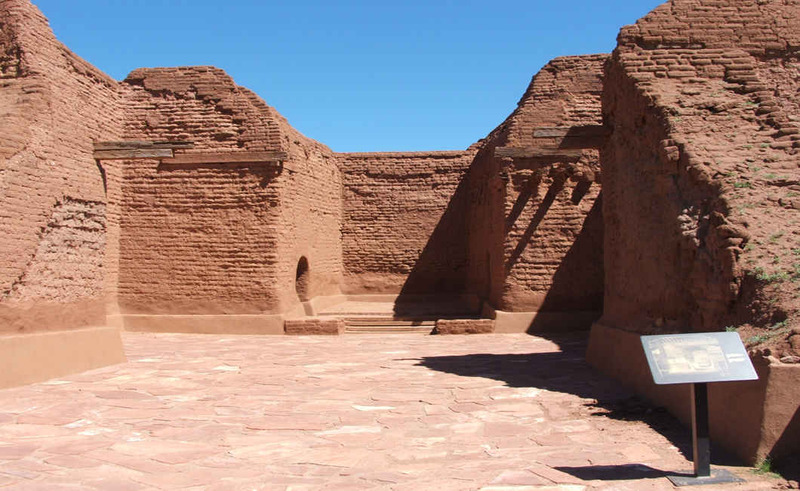 Published on May 7, 2017 There might be more adventure packed into this area than in any other part of New Mexico, and if you know New Mexico you know that’s really saying something. 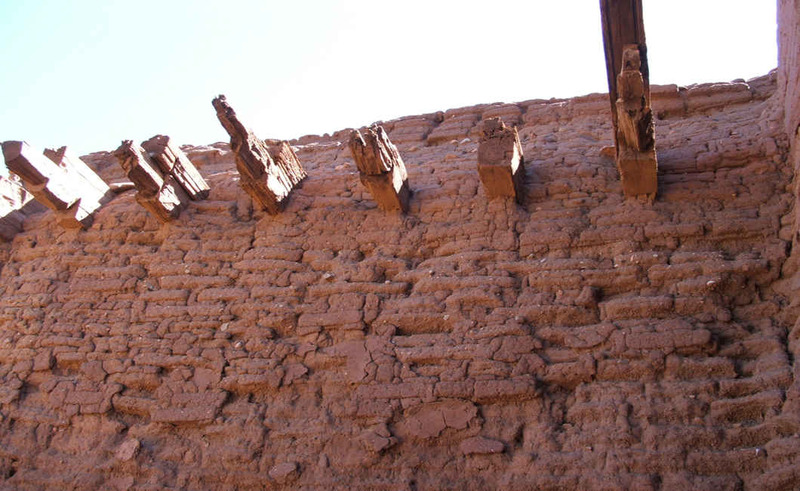 The history, the culture, the beauty and the diversity of the Pecos region simply serve as a tremendous backdrop for all there is to experience and do here. Hiking, fishing, exploring, relaxing…what are you looking for? Or maybe the better question is what are you waiting for? 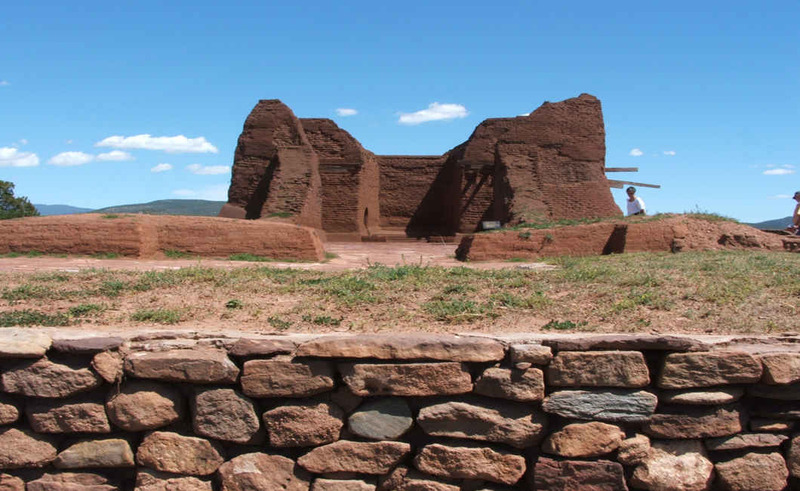 Pecos National Historical Park is composed of several noncontiguous units. 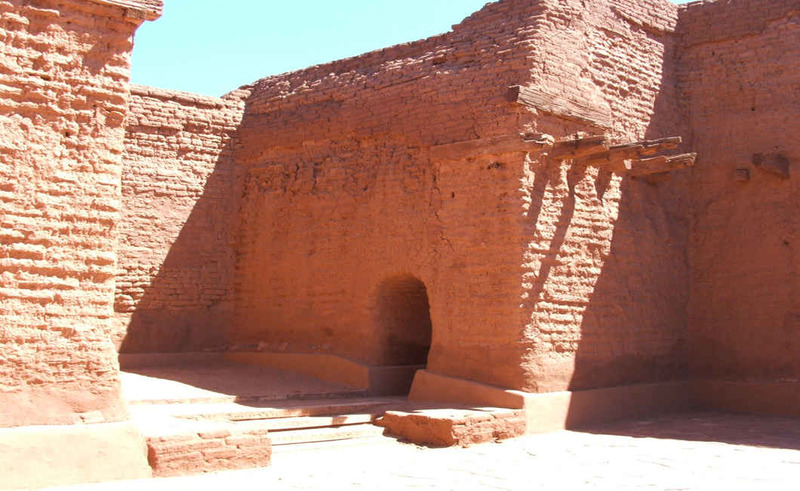 The main unit of the park preserves the ruins of Pecos (Ciquique) Pueblo. 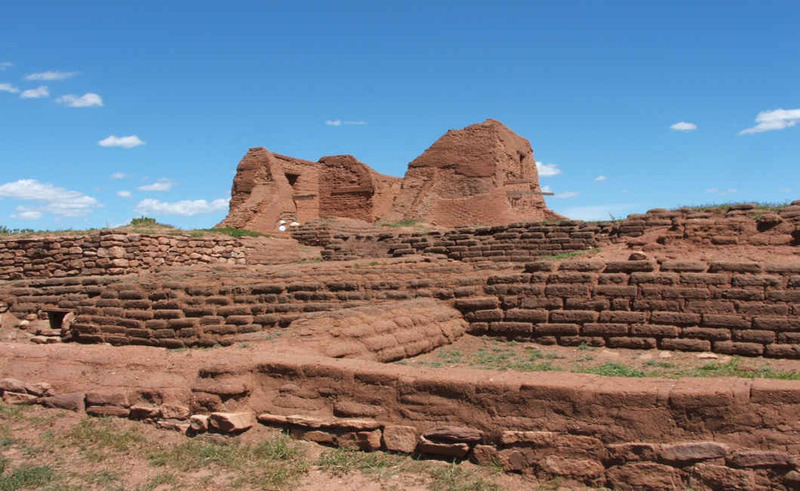 The first Pecos pueblo was one of two dozen rock-and-mud villages built in the valley around AD 1100 in the prehistoric Pueblo II Era. 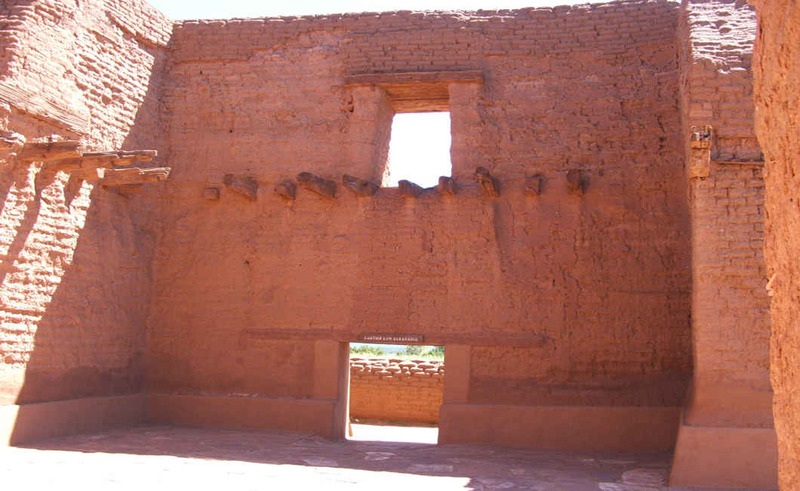 Within 350 years the Pueblo IV Era Pecos village had grown to house more than 2,000 people in its five-storied complex. 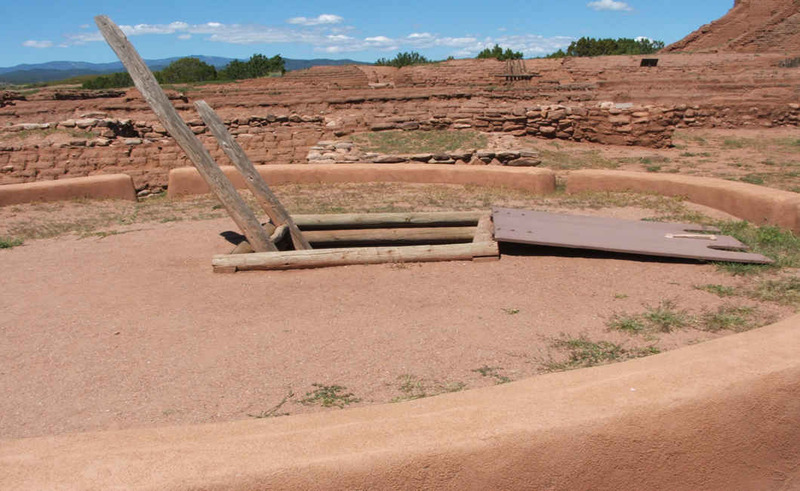 The main unit also protects the remains of a Spanish mission near the pueblo built in the early 17th century. 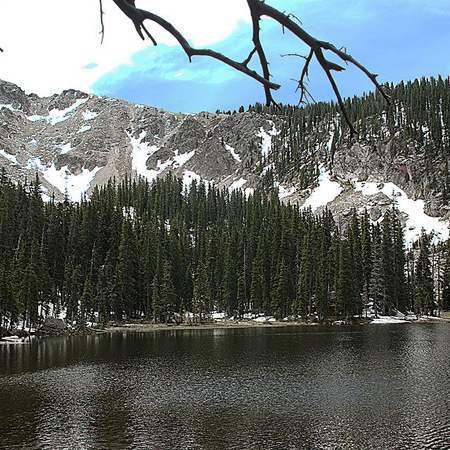 The Pecos Wilderness is a protected wilderness area within the Santa Fe National Forest and Carson National Forest. 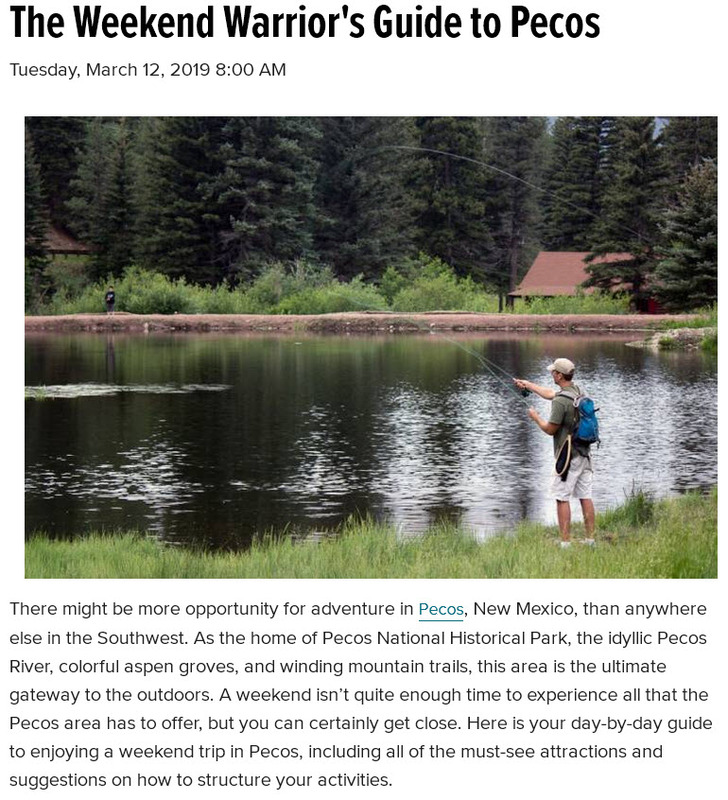 The Pecos Wilderness lies within the Camino Real Ranger District of the Carson National Forest, and the Pecos Ranger District and Espanola Ranger District of the Santa Fe National Forest. 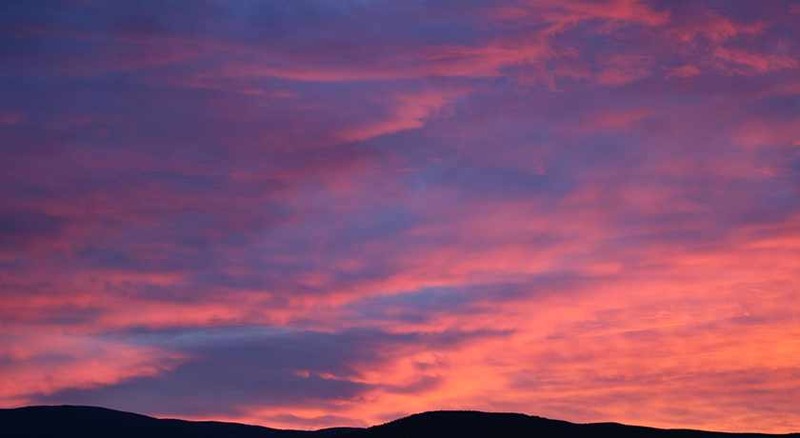 Pecos Baldy is a mountain summit in Mora County and climbs to 12,487 feet above sea level. It ranks as the 35th highest mountain in New Mexico and the 1,248th highest mountain in the United States. 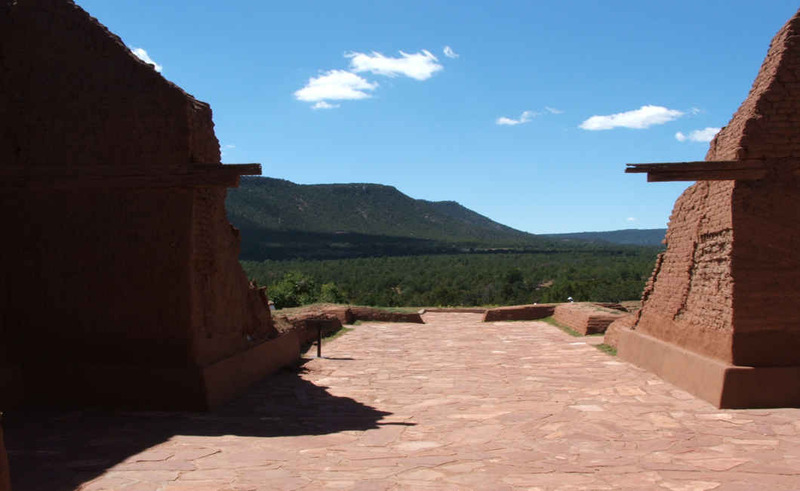 The Battle of Glorieta Pass, fought from March 26 to 28, 1862 was the decisive battle of the New Mexico Campaign during the American Civil War. Dubbed the "Gettysburg of the West." 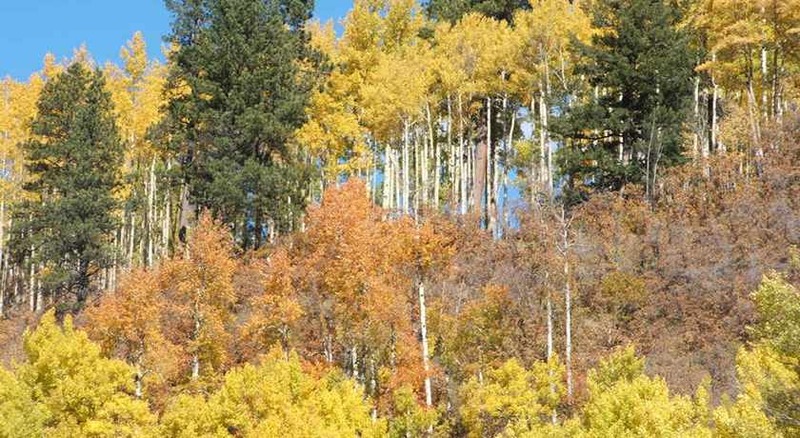 The Santa Fe National Forest is a protected national forest. It was established in 1915 and covers 1,558,452 acres. 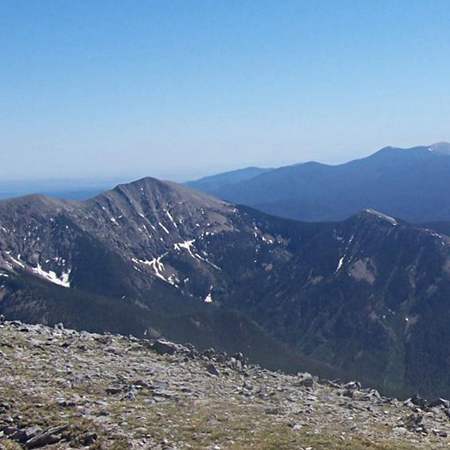 Elevations range up to 13,103 feet at the summit of Truchas Peak in Pecos. 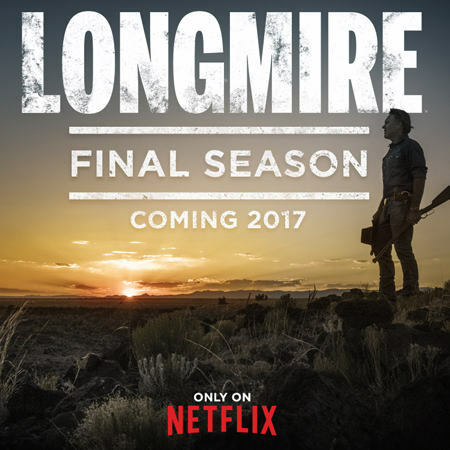 The A&E and Netflix hit series "Longmire" has been filmed in and around Pecos New Mexico.Longmire, the contemporary crime thriller set in Big Sky country, is based on the Walt Longmire mystery novels. Wow! What a wonderful tour of Pecos. I had the opportunity to live in Pecos for about 4 years before moving back to Santa Fe. I can truly say I miss the clean air, the wonderful views and all the people I met, especially my students. I fell in love with Pecos. The beautiful mesa, the amazing arroyos and the proud people who live there caught my heart. We are building our home up in Luz del Sol, and have named it La Cuesta de Cicuya in honor of the people who first inhabited the land. Thank you for this very nice website so that people new to the area receive a wonderful introduction to the village and children that have moved away (like me) can have a glimps of home. I miss the fresh smell of the pinon and tortillias, the views, and the warm people. Class of 1987. The majestic beauty of the Pecos region has never left my memory. I have two brothers who live in Pecos and Aunts/Uncles, cousins and friends in the Pecos, Colonias and San Yisidro area. To the webmaster, from the bottom of my heart, thank you for reminding me of who I am. Welcome to the Pecos, New Mexico Photo Gallery. 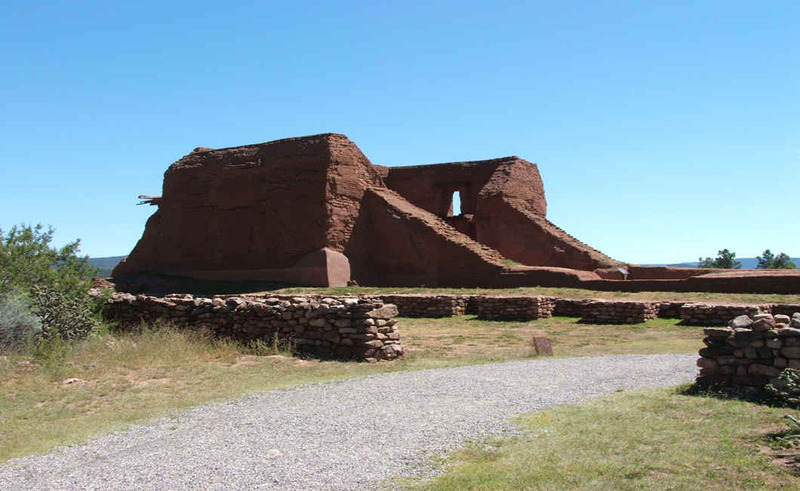 This gallery will highlight some of beauty and attractions of Pecos and the surrounding areas! 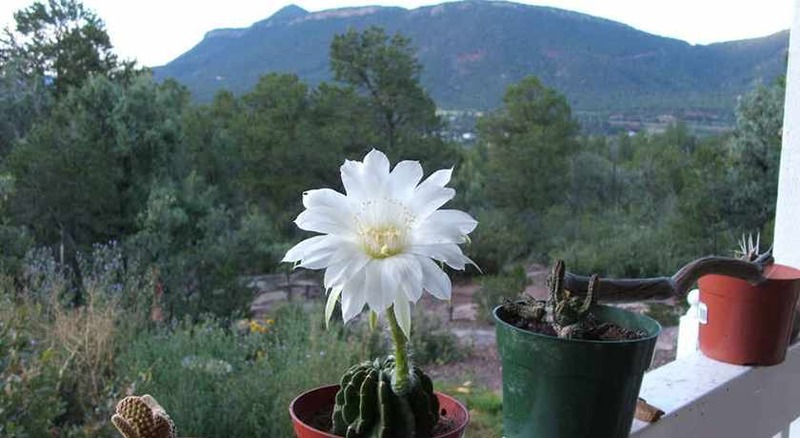 Our gallery includes 20 images from renowned photographer Luis Saenz, a collection of our jaw-dropping sunrises and sunsets, our world famous hummingbird migrations, the 16th Century Pecos Ruins, our local flowers and plants, and surrounding foliage including breathtaking mountains and Fall Aspen groves!